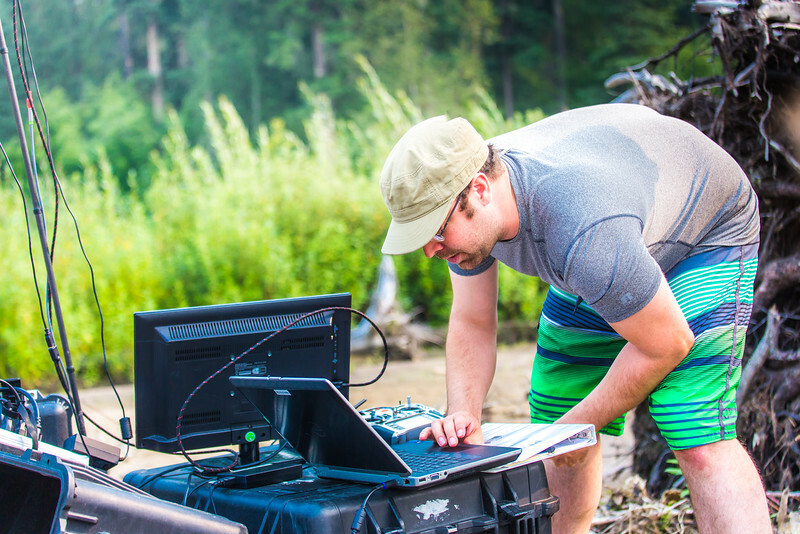 Carl France with the Alaska Center for Unmanned Aircraft Systems Integration (ACUASI) monitors the flight of an unmanned aerial vehicle from a gravel bar in the upper Chena River. Personnel with ACUASI partnered with the U.S. Fish and Wildlife Service to collect aerial video of the popular stretch of important king salmon spawning habitat.